While Obama agrees with Tsipras, Lavrov invites Kotzias to Moscow! On the other hand, Putin sees rather a good opportunity to take advantage of the new Greek government and the traditional relations between Greece and Russia, in order to upgrade significantly the role of his country in the critical geopolitical area of East Mediterranean. The developments are fast and the latest move by the Russians is the invitation to the new Greek minister of foreign affairs, Nikos Kotzias, by Sergey Lavrov to visit Moscow. 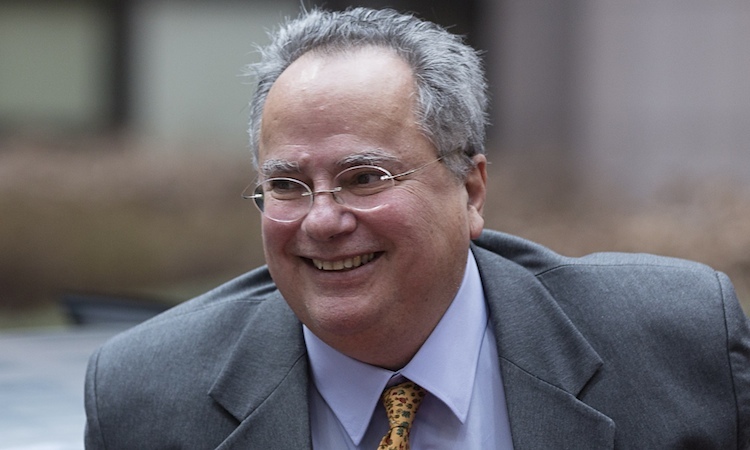 Kotzias is well-known for his positions concerning a stronger approach between Greece and Russia and Lavrov also spoke warmly about Alexis Tsipras who met him in Moscow when he was the leader in opposition. Under such circumstances, the US leadership usually makes clear that any NATO government should fully align with NATO decisions without questions, by imposing tremendous pressure. This time, Obama started rather softly and friendly with Tsipras for a number of reasons. The first reason, is that the US truly and strongly disagree with the German line of cruel austerity: “This explains the recent statement by the U.S. Secretary of Treasury, speaking about growth through consumption, criticizing indirectly the austerity policies in Europe, and the expected reaction of Schaeuble, …”, when at the same time the relations with Germany are not in the best shape. The second reason, is that the US have to deal with a new Leftist government, an unknown X. All previous US leaderships were dealing with easy manageable corrupt governments in Greece of the Right-center and the Socialist-center of the political spectrum. The various US think tanks probably were unable to find the necessary time to examine deeply the new political landscape due to the rapid enlargement of the radical Left inside the crisis. For this reason, and because the US already changed their approach, even against “hostile” countries (Iran, Cuba), Obama may not risk, at least for the moment, to lose Greece in the geopolitical battle, especially when he has to deal with tough open fronts in Ukraine and Middle East.